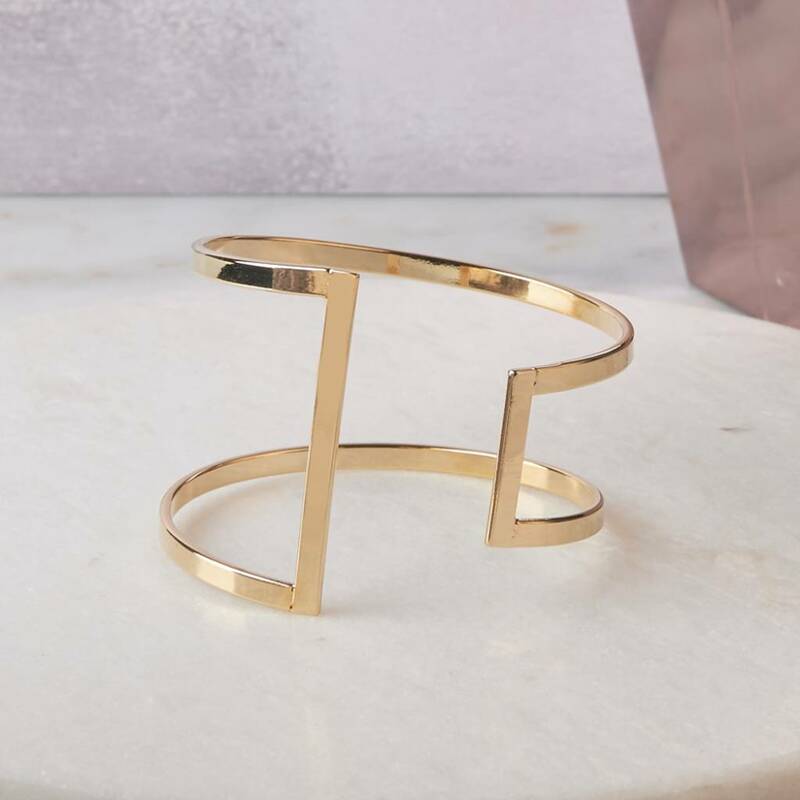 Geometric statement gold plated cuff. 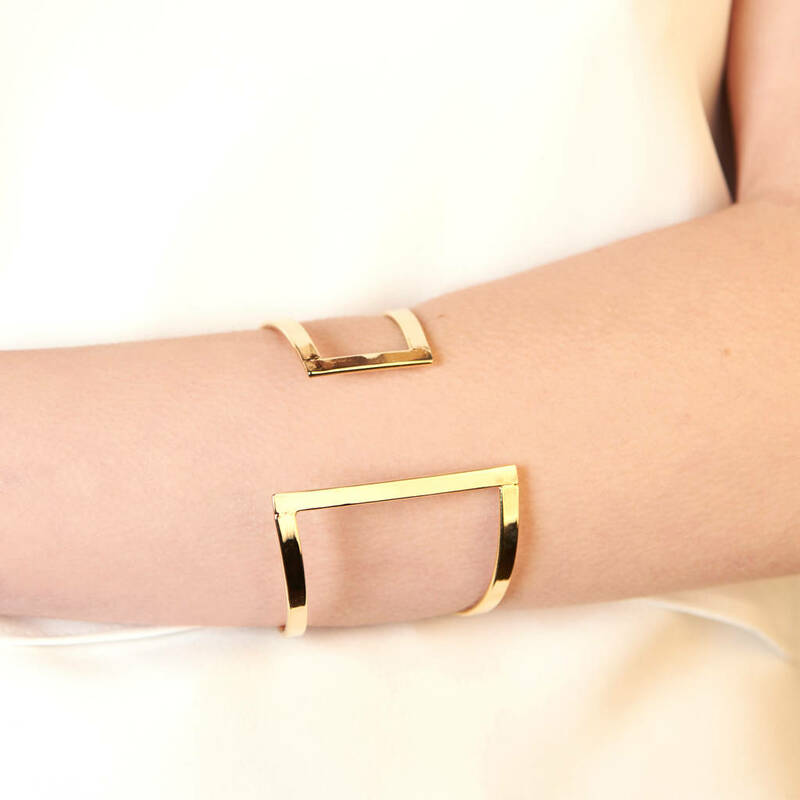 A striking, bold, geometric cuff. 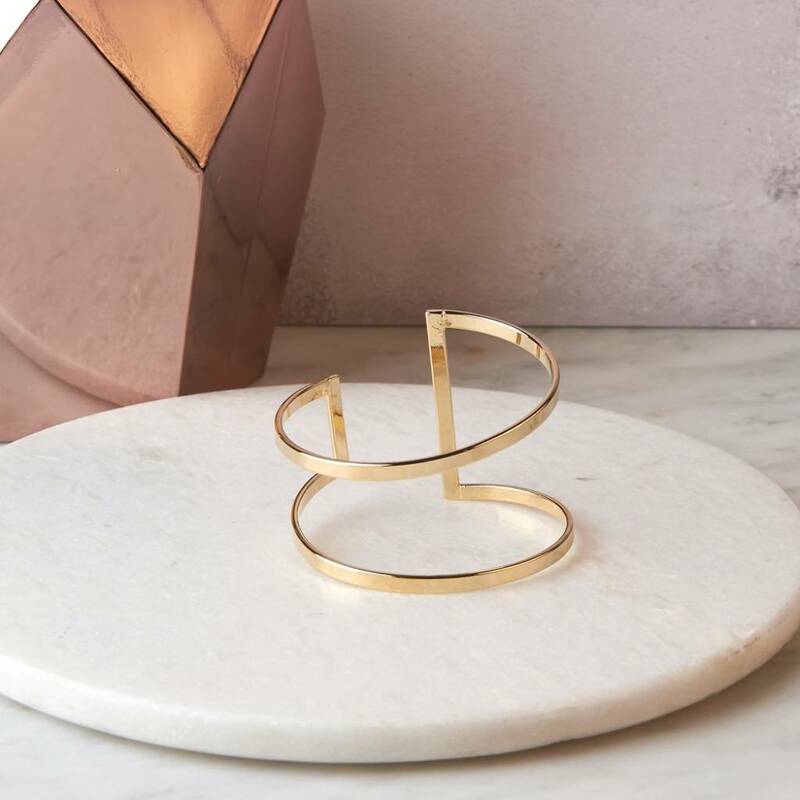 A beautiful statement piece that can wow a work outfit, to scream laid back style on your days off. 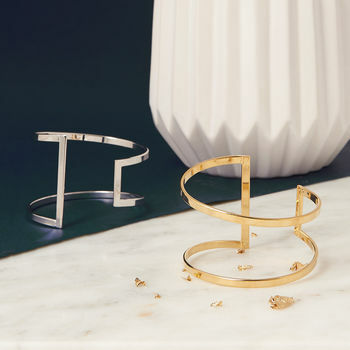 Layer it with a watch and bracelets for a busy look. 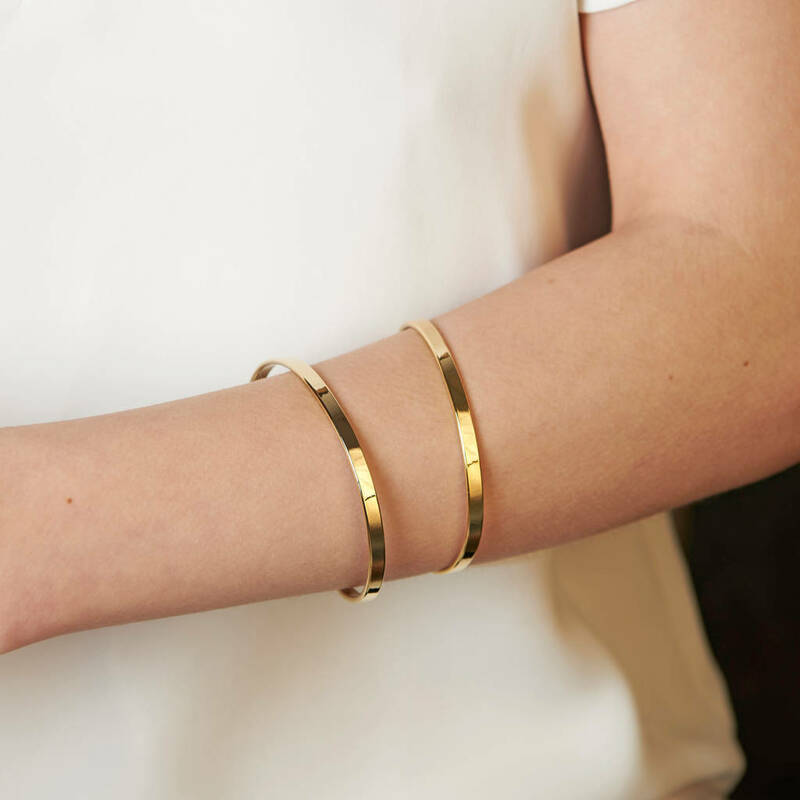 The cuff decreases in width as it travels around your wrist. We offer a gift wrapping service - orders will come boxed. 16k white gold and gld plated brass. 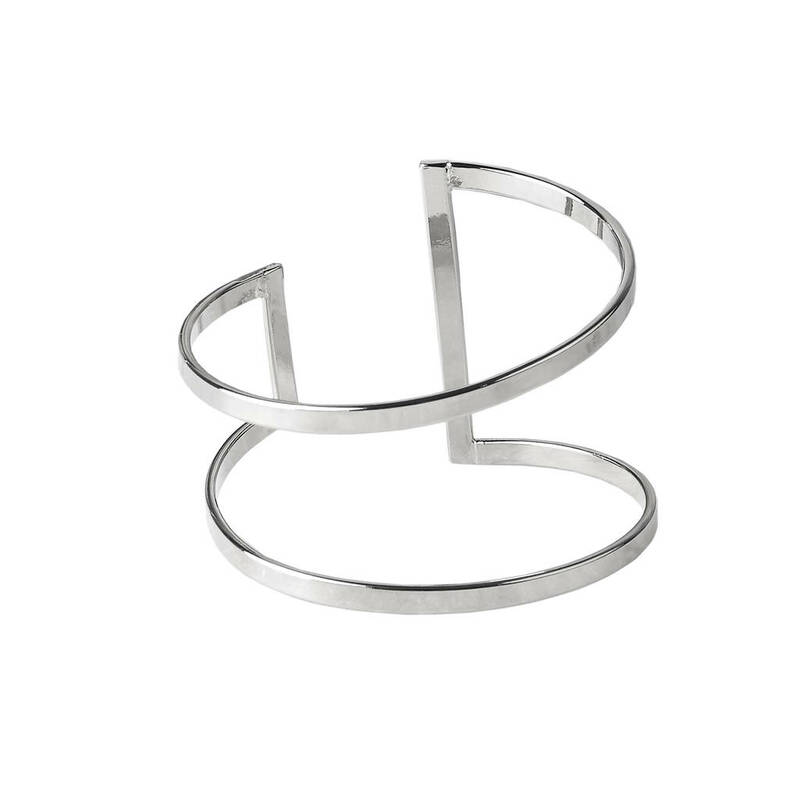 Bracelet at widest point is 5cm and 2.5cm at it's narrowest. 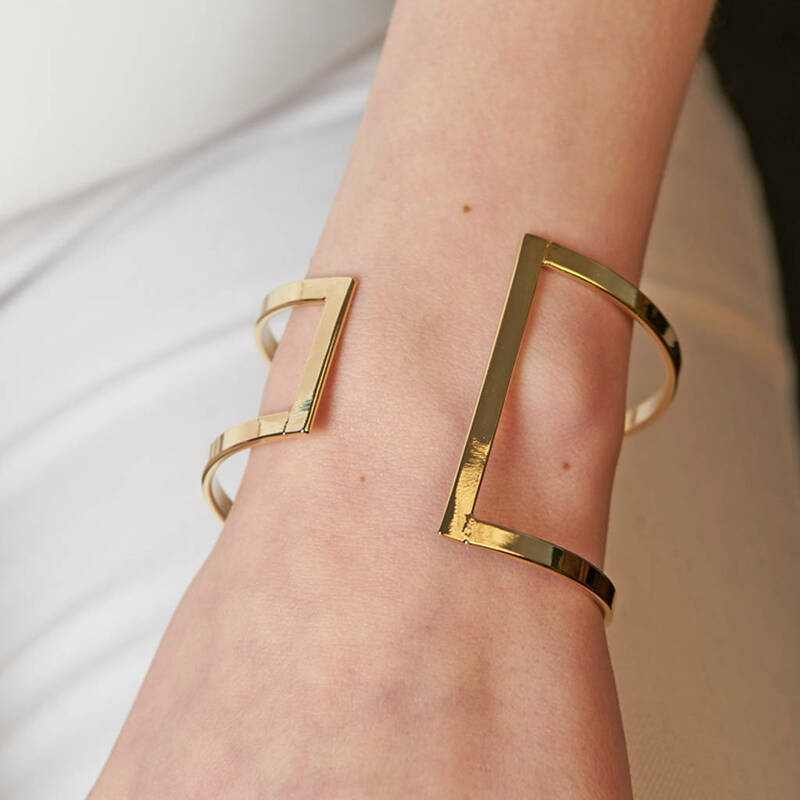 Cuff is adjustable for a comfortable fit. This product is dispatched to you by DOSE of ROSE.